We here at The Barley Men are no stranger to delicious and rare beers. But when it comes to Mead, it’s a whole new frontier. We are still learning, still exploring, and still enjoying the experience.I have tried mead on some very rare occasions. I’ve had home made, local breweries, some from other not-so-local breweries, and I was not always impressed. Mead is on a level all its own. Like a beer, it has its additives and infusions, as well as a variety of brewing techniques. Also like a beer, one may not always appreciate it on their first sampling. 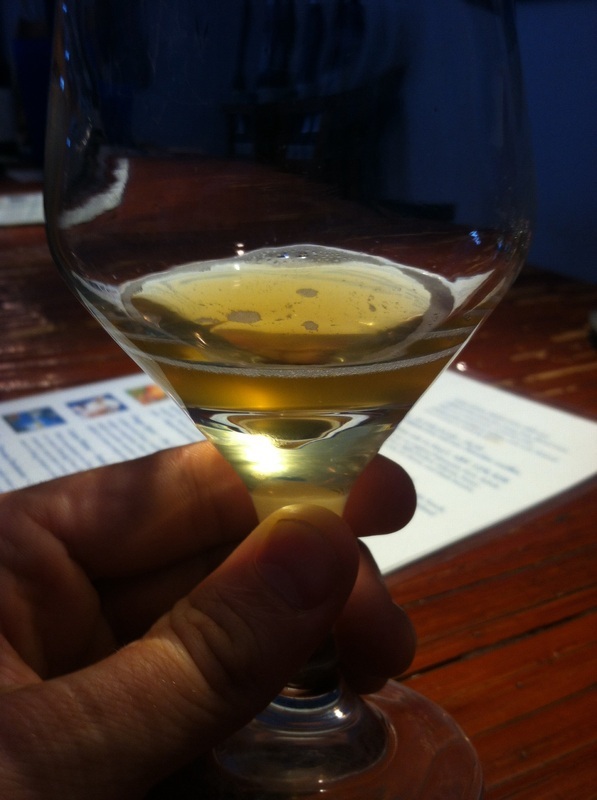 As you will see from this article, a mead can also have similar characteristics of a fine wine. It can be dry or sweet, have legs in the glass or even a similar mouth feel. Since mead can be rare, and usually local, they can also be a bit pricey. Finding meads might be a little tough. I suggest the app UNTAPPD. This app, though primarily for documenting and rating beer, also includes mead, ginger beer, and other brewed beverages. A great function on this app is the Locate Nearby Breweries function. I absolutely LOVE this. Whenever I am on a trip and I am looking to try something local, I just search and viola! A map of my current location pops up and pins show up within an adjustable radius locating local breweries. Recently, as you can see from my recent post, I visited the Island of Kauai, Hawaii. After settling in, I checked UNTAPPD for local breweries. One that caught my eye was Nani Moon Meadery. After checking the website, reading the history and watching the video I decided this would be a great place to visit while in this tropical paradise. I was glad I did! The website is correct, it’s not really right out in the open. The brewery is set a bit back in a parking lot. There’s an over hanging roof covering a sidewalk that leads you to it. Once inside, its pretty awesomely psychedelic. Very earthy, and colorful. I’m sure if incense didn’t damage the bouquet of the mead, there would be some in there. In the center of the room there are taller circular bar tables, and there is a bar to the left. In the back is the Brewery which can be observed through a large glass sliding wall. The bar table itself holds a variety of local foods,such as chocolate, and bottles of their own mead. We were greeted by a pleasant bearded fellow, Rahj, who is also a fellow brewer. After accepting his offer to partake in a sampling, how could we refuse, we were able to get a background on each Mead available, including one not on the list. For a description of each mead, if you can’t read the list below, click on the picture and you can see the detailed information straight from the website. For my descriptions of what I sampled, you can check out my reviews on UNTAPPD. My username is Fosbrew. There’s a vanilla and almost coffee finish. An there is almost an immediate vanilla nose. There is a carbonation, but it doesn’t detract form the overall body. It reminds me of a dry, almost white wine in its taste. And it was VERY refreshing. Now when it comes to honey, every hive has its queen; and Nani Moon is no exception! We would now like to introduce you to the Queen Bee of the Buzzz, Stephanie Krieger. She is both president and owner, and while you can visit her website and get a brief history on her legacy, we at the Barley Men love getting that personal touch. So enjoy the interview!TBM: I’ve read your history on your site and saw you video on how you use the local agriculture to make your mead. I’d really like to know what is your philosophy on brewing? Also, what made you want to start brewing? Stephanie: When I moved to Kauai in 1997, I was determined to find a career path that would support a sustainable future for the island. I was close friends with an old school beekeeper, Oliver Shagnasty, who frequently visited a cafe where I was working and I had a passion for farmers markets and the farmers who worked so hard day in and day out to get their local produce to the public. One day I was hiking and I heard the buzz of honeybees in the canopy of the native trees. I thought that right there, the bees were giving the native forest economic potential just by existing! A few weeks later, I was driving looking at the sugar cane fields, which are a very thirsty and unsustainable crop. Sugar exists in almost everyone’s lives, everyday. Why not replace the need for sugar in our economy with honey?! Then I thought of mead. One of my classmates from Philadelphia made mead. I don’t ever recall tasting it, or any mead for that matter, but I knew it existed as an alcoholic beverage, so I thought, why not start making mead from local honey and fruit. I could support my beekeeper friend and all the farmers I see every week at the farmers market. So in 2000, when Y2K didn’t bring civilization down, I decided to get serious with my future and start making mead. I googled what I needed; a carboy, a siphon hose, an airlock & champagne yeast, and made my first batch in October of 2000. I looked into recipes and did not see any that used the fruit I had availability to, so I started creating my own formulas. Tuning into my biology and chemistry background, I took lots of notes, from the beginning of each batch, to tastings in between racks, to the final product. During this time, I was working at a high end restaurant that started my path in wine and food. I worked closely with management to learn how the profiles of wine work with different styles of cuisine. I personally prefer dry wines, so I created my meads in similar styles. When I was on my 5th batch, I brought some in to my work for the executive chef to taste. He replied it was too acidic. It was then I started really pairing acidic fruits with ones that were less acidic. Using less of some and more of others. Nine years later and around 100 – 5 gallon batches, I opened Nani Moon Meadery in 2009. We still keep our production local, by using only locally sourced fermatables & not using any chemical additives like sulfates & yeast nutrients. We now own 40 of our own hives, which are managed by a close friend who has been mentoring under Oliver for about 15 years and we source our pure varietal honeys from the Big Island. All of our fruits and spices like ginger, cacao, vanilla & chili pepper come from independent farmers on kauai. Our philosophy has always been if we cannot source our fermatables we won’t make it. We are slowly building our resource base from the ground up. TBM: At times, that philosophy can be hard to come by. We appreciate your passion, and love of the environment as well as your support for local business. You kind of touched on it, but with your intricate variety of meads, where do you draw your inspirations? Stephanie: Supporting our local community first and foremost. Creating a mead that is pure and delicious. TBM: Done and done! With your entrepreneurial ambition and success, do you have any words of advice for any aspiring brewers? Stephanie: Take lots of notes, make cleaning an sanitizing first priorities, and focus on local ingredients. TBM: Hear that kids? Being neat and tidy pays off! I hope my wife doesn’t read this. So what do you think makes your brewery unique to the world of mead? Stephanie: Again, all of my inspiration comes from our local community on Kauai. I also come from a place of purity. Five years and running and we are still the only commercial Meadery in Hawaii. Because of the purity of our meads, we have a large clientele that do not drink any other alcoholic products besides our meads. Our clients know that what they are enjoying is the pure essence of Kauai and Hawaii, from the raw honey to the local fruits. We have created a line of meads that are intended work with an active healthy lifestyle. Because we do not use any chemical additives, they are easy to metabolize, so they are easy to enjoy, with none of the typical after effects like fatigue, and dehydration. TBM: I love that. No High Fructose corn syrup or other non essentials just to cheapen a product. More natural, and more beneficial for the body. Which one of your meads would you recommend as an introduction to Nani Moon, for someone who has not had the experience? Stephanie: That’s a hard one, as each of our meads is uniquely different. I always ask someone if they only want to try one, what they typically enjoy, red or white wine, beer, sweet, dry? I cannot answer that question, you will just need to come to Kauai & give them a try. I am also available for consultation either personally or via email or phone to chose a mead(s) that will fit your lifestyle, pallet &/or menu. Well you heard it here, go to Kauai! Not only will you enjoy a wonderful assortment of scenic, breathtaking sights, but you will be able to “taste the island” and enjoy the Buzzz. I really do hope you dear readers are able to visit sometime. It’s truly a remarkable experience. If you can’t make it, visit nanimoonmead.com to peruse the selection, and maybe order some mead directly to your home (where permitted). Thanks again Stephanie for your time, and for your passion. I can’t wait to visit again.